Self mastery is the ability to make the most out of your physical, mental, and spiritual health, to excel and be comfortable with who and what you are. In other words, to be the best you can be. 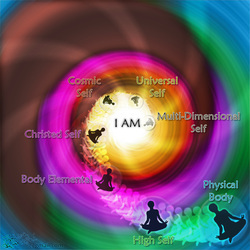 Ascension Mastery is owning your Self-Mastery and working on the Christ Consciousness, God Self and multi-dimensional levels to assist humanity and complete your contracts. A powerful & revolutionary workshop designed to take dedicated students on a rapid journey of Self Mastery, Initiations and the Ascension Process. The seemingly miraculous change of a thing into something better. The true transmutation that comes from aligning the personality with the energy of our soul can only be done by a journey from unconsciousness to consciousness. This process of miraculous change happens by taking a journey inside. Release Karma, Contracts, Agreements, and Vows & Oaths.